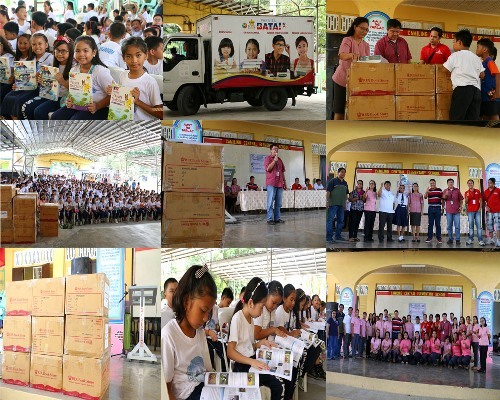 ABS-CBN Lingkod Kapamilya Foundation, Inc. and REX Book Store, Inc. brave hours of travel from Manila to Camiling, Tarlac and toIba, Zambales to distribute thousands of textbooks. Along with 1, 812 various textbooks donation to Camiling Central Elementary School, Birbira National High School in Camiling was also a recipient of 3, 213 textbooks. Principal Angel Villamin cheerfully narrated that Birbira rarely wins prizes nor consolations in raffle events, but upon receiving textbooks which equates to millions, he claimed that blessings indeed pour in just a snap. 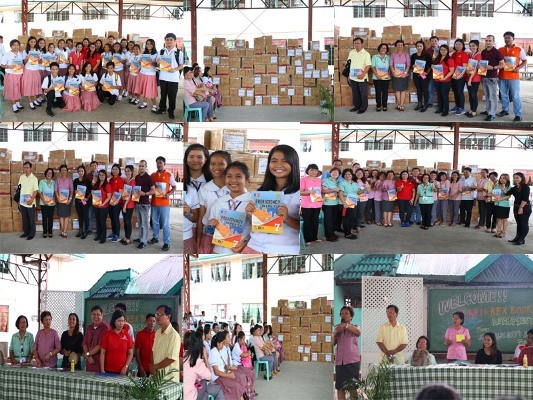 Likewise, Zambales National High School in Iba, Zambales received 10, 000 textbooks. Tambac Elementary School in Iba also received 900 books. Various K-12 textbooks donated were E-Math, Science Links, TLE Global Community, English, ObraMaestra, Values and more. Dati kulang po yung books ko at bimibili pa, pero ngayon kumpleto na po”. -Jasmin Dela Rosa, grade 3, Camiling Central Elementary School. Students and teachers were overwhelmed for the gift of education they received. This is part of the REX Book Store’s “Para sa Bata” advocacy with ALKFI. Iba, Zambales is one of the eco-tourism sites of ABS-CBN Lingkod Kapamilya Foundation’s Bantay Kalikasan program.